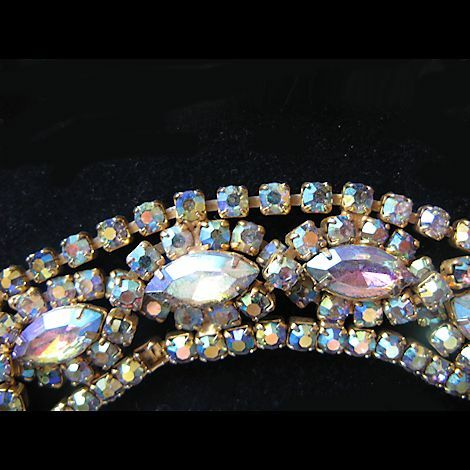 Beautiful 1950s aurora borealis bracelet with outer rows of rhinestone on chain and two inner rows that cross over each other to surround five 1/2" long navettes. 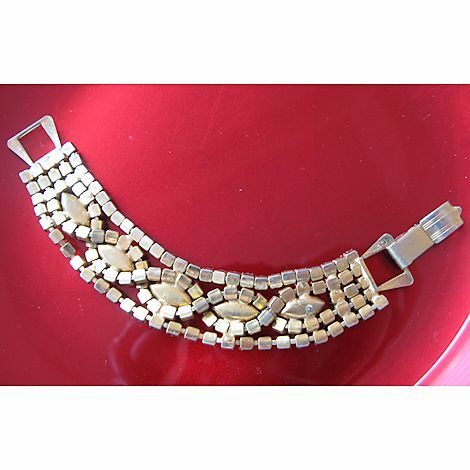 A very short row of chain is place in the middle on each end to give this bracelet a width of 1". Its length is 7" including the wide engraved vintage findings that hold and accommodate the secure foldover clasp. There are two rhinestones missing, but I've got spares to pop into the undamaged prongs if you wish. 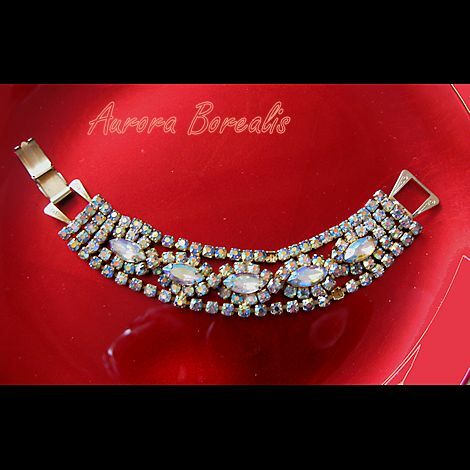 This is a beautiful bracelet that will accessorize just about any outfit.